Please ask us about commissioned work for weddings, anniversaries, and special occasions! Browse our work by using links to the right. Ancient Voices: Inspired by cave paintings and carvings and very much connectted to the earth and natural elements. Impressions: uses highly textured clay surfaces. We use own own carved stamps, found objects and other materials. 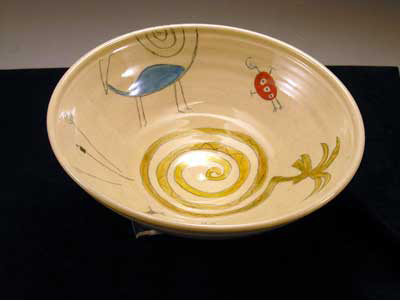 StoryLines: We have both Story Bowls and Storyboxes that are inspired by fables and myths or by individually commissioned themes. The Trickster Series. The trickster is a common theme in our StoryLines. He is a character found in many cultures. Typically, he is one who crosses boundaries, breaks the rules (and makes them), is playful, clever, and almost always a troublemaker. The trickster can be both the messenger of the "gods" as well as the "wise fool." He is at the same time funny and entertaining as well as sacred. We often recognize ourselves in the trickster and mostly, we learn from him. We've met him as the Raven, Coyote, Bart Simpson, Anansi, the Road Runner, and the Monkey King from China . 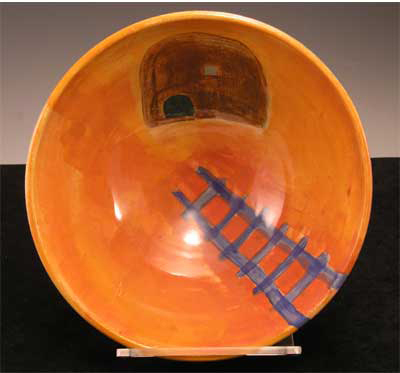 Ron's double-walled vessels are made by pulling one side up on the potters wheel and then, while that is in place, pulling an outer rim from the same clay. The sides are then joined to form a hollow shell that forms the outside of the vessel. Most are raku fired. All of our functional work is high-fired and dishwasher safe. 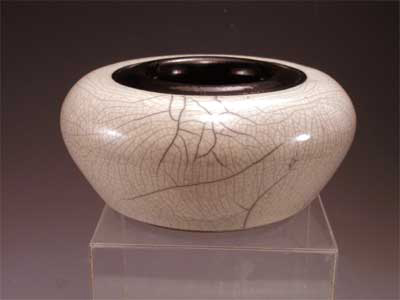 We also do a lot of work in the Raku technique, such as decorative vessels, jewelry, and some mirrors. Because each object is handmade, it is likely that the items you see in these photos are no longer available. Contact us for a custom design, based on the images you see, designs, colors, and your imagination!